Up to 12-hour days for healthcare employees involved in patient care. Employers must provide disclosures regarding the expected effects of the AWWS, including any anticipated effect on wages or benefits. Employees then must have an election at work to vote for or against the AWWS. 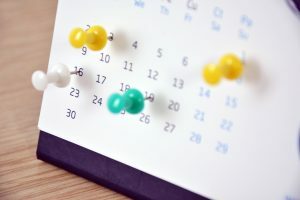 If the vote is favorable, the employer must report the result to the Department of Industrial Relations (DIR) and wait at least 30 days to implement the new schedule. Once implemented, it is critical for employees to specifically adhere to the approved AWWS. For example, if the alternative schedule involves working Tuesday through Friday, those employees are not allowed to work on Mondays. If an employer does not strictly enforce the AWWS, the DIR may hold the company liable for back overtime pay and may implement fines against the company. If your company does not enforce the AWWS, you risk losing all benefits of the alternative scheduling laws and even risk facing civil liability and penalties. If you are considering an AWWS for your employees, you should not wait to consult with the experienced corporate lawyers at Structure Law Group. We can advise you of the pros and cons of an AWWS plan, as well as help you implement a new schedule while ensuring compliance with these confusing laws. Please call 408-441-7500 or contact us online with any question you may have.